The VITO Series of PET compressors by SIAD is an innovative new range of oil-free air compression units for blowing bottles in PET. VITO produces air compressed to 42 bar, completely devoid of oil and complying with “ISO 8573” air quality regulations. All our SIAD VITO compressors come standard with Variable Speed Drive (VSD) with advanced regulation which allows a previously unattainable range of 25% to 100% of rated flow. 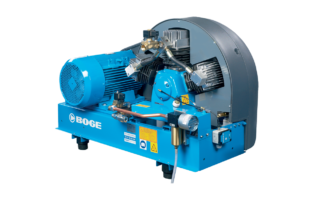 Your opportunity to enhance the compressor’s performance. The standard first year warranty is what any supplier can offer and perform. CRU AIR + GAS is proud to be a SIAD Global Service Partner and can offer an extended five (5) year warranty on all major components in combination with a Service Agreement. This allows VITO customers to ensure reliable, efficient compressed air for the duration of your extened warranty period.